A Chewbacca Plush is a great choice for a Star Wars fan of this big, furry giant. 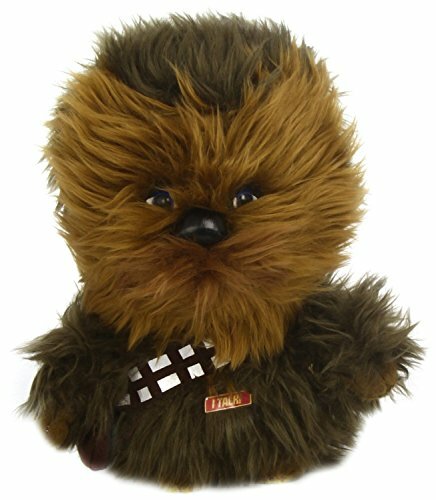 Chewie the Wookie is a super huggable stuffed toy which will delight kids and sci-fi collectors. Chewbacca, or Chewie as he's more fondly known, is the furry friend, companion and co-pilot on Hans Solo's Millennium Falcon spaceship. He's the most cuddly character in Star Wars which is why kids are mad about having one of their own. 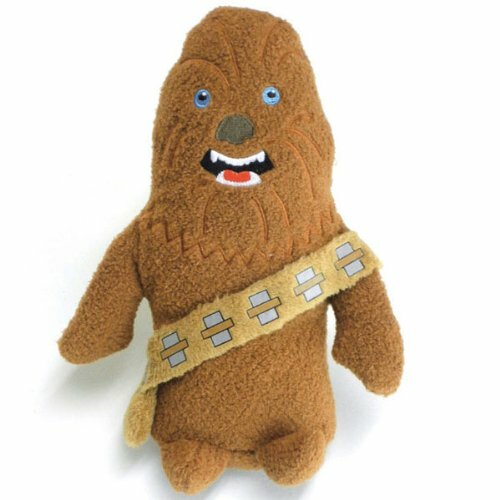 This page hosts the best collection of Chewbacca Plush Toys that you can buy, including small Chewie toys and even ones that talk in that special Wookie way! If you're going to get any Plush toy for a Star Wars fan then Chewbacca is the one to get because he's so cuddly. Chewie is a gentle giant and Han Solo's sidekick. To celebrate Chewbacca's large stature, how about this large, Chewie 24 inch plush. When you press his belly, you are rewarded with the trademark Wookie growl that makes him almost come alive. Underneath all that orange brown fur are some dazzling blue eyes which make him even more adorable. If the large, 24 inch talking Chewie is a bit intimidating, there's a smaller 9 inch talking version which also has the same good looks and amazing growl. Customers like how realistic this Chewie (or Chewy as it's also spelt) sounds. A cute and cuddly version that scores top marks for his additional and novelty voice box. An even smaller 7 inch Chewbacca is available without all the fur! This Footzeez toy is made from a soft, recycled fleece fabric and has a bean-bag base so he can stand up. This guy would make a great toy to display in the room of a Star Wars fan. Or as a smaller cuddle plush which makes a great stocking stuffer for Christmas. 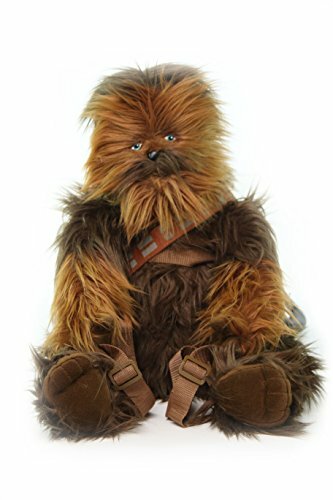 I really love the idea of having a Chewbacca Back Buddy who makes a very cute, furry Star Wars backpack for both kids and adults to take on their travels. 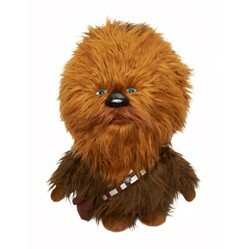 A really sweet, stuffed Chewie who is cute and practical too. Have Chewie hug you while you walk! How awesome is that. The shoulder straps will adjust to fit children and adults and children also have the option of using a belt too. This plush Chewie backpack has a zippered pouch which will hold small books. Customers love this friend that they can wear on their back and take along to meet fellow Star Wars fans. If none of these Chewie plushies grab you, also check out the selection on eBay below because you might find something different there. And, may the force be with you! Would you love to have one of these Chewbacca Plushies? Chewbacca toys are cute, aren't they. Thanks Brenda. Those are cute. Maybe I'll have to get my grandkids one.